Normally when you serve a slow-cooker dish like this, no one cares about the other items on the dinner menu—unless it comes with a salad like this. As you know, cheesy recipes always go over well with the home team. And when you add ground beef to the mix, it’s a guaranteed home run! 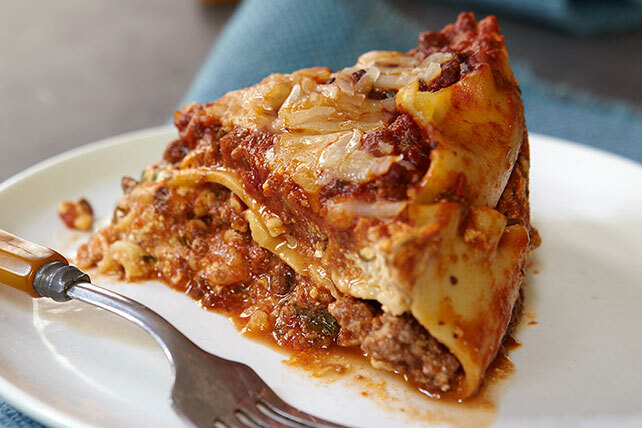 This lasagna is slow-cooker convenient, so you can actually enjoy this menu on a busy weeknight. Nothing goes with a hearty pasta casserole like a bistro-style Healthy Living salad recipe. 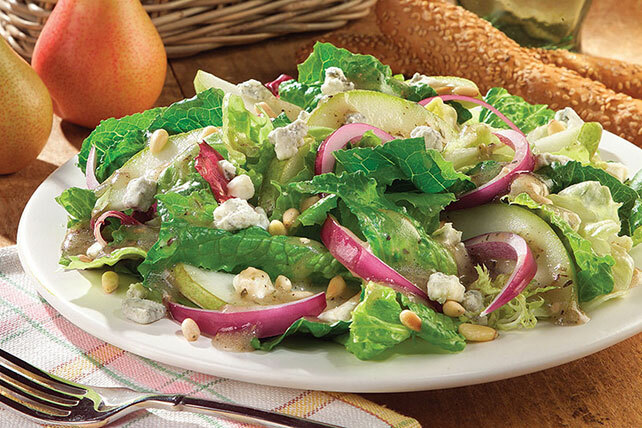 Choose perfectly ripened pears for this one; it contrasts deliciously with the blue cheese. Any dessert with chocolate is a winner in our book! 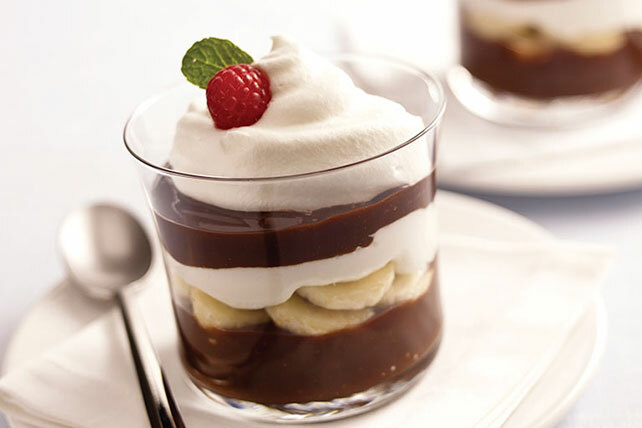 Particularly when it's a layered dessert like this made with sliced bananas and whipped topping.